The Crawford Fund in association with Australian Volunteers Program is seeking passionate and energetic entomology and IPM advisors for volunteer placements as part of its ongoing capacity building program in the Lao People’s Democratic Republic (Lao PDR). See the factsheet for full details. The placements are with the Provincial Agriculture and Forestry Office (PAFO) in Pakse, Champasak Province in southern Lao PDR. Operating out of a basic entomology and pathology laboratory, you would develop local knowledge and understanding of crop pests, diseases and weeds, and build local capacity to undertake diagnostics and advise farmers on management practices. Since 2013 a series of Australian volunteer entomologists and plant pathologists have been part of our program. These volunteers have found it interesting, incredibly rewarding and a valuable boost to their careers. The volunteers are mentored by Professor Lester Burgess, former Dean of Agriculture at Sydney University and internationally recognised for his research and teaching in plant pathology. He is supported by a network of other mentors through Australia and internationally who assist with the project. “My work’s really important here because of I’ve got a couple of really good skills in entomology and agricultural development and I can pass these on to the people I work with, and they can pass them on to farmers…and [they can grow] 50 cabbages instead of 20,” said Madaline Healey of her volunteer experience in 2015. Kylie Ireland volunteered in the Fund’s Laos program for 18 months and during this time she worked to address threats of pests and diseases in food crops, and mentored three young female trainees. “The best experience happens on a daily basis,” said Kylie, in her YouTube video about her experience. “It is an interesting place to live, it looks really friendly on the outside, and it is…with relaxed people…the challenges make it even more valuable, if you are considering volunteering, I think Lao is one of the easiest countries to live in,” she said. The Crawford Fund has been running this project in Laos since 2009, to deliver training in integrated pest, disease and weed management, biosecurity and food safety. Workshops for farmers are also held to improve the safe use of pesticides – this was recently reported by ABC after a Crawford Fund supported visit to Laos. We are seeking entomologists to work on IPM and pest diagnostics in vegetables, and to monitor citrus pests and beneficials with an emphasis on the distribution of the vector of Huanglongbing (HLB) disease (citrus greening) with altitude. HLB has devastated citrus plantings across Lao PDR. You would also be involved in diagnostic tasks and in facilitating several village workshops for small-holder farmers covering insect pests and beneficials, key diseases, and pesticide use and safety. 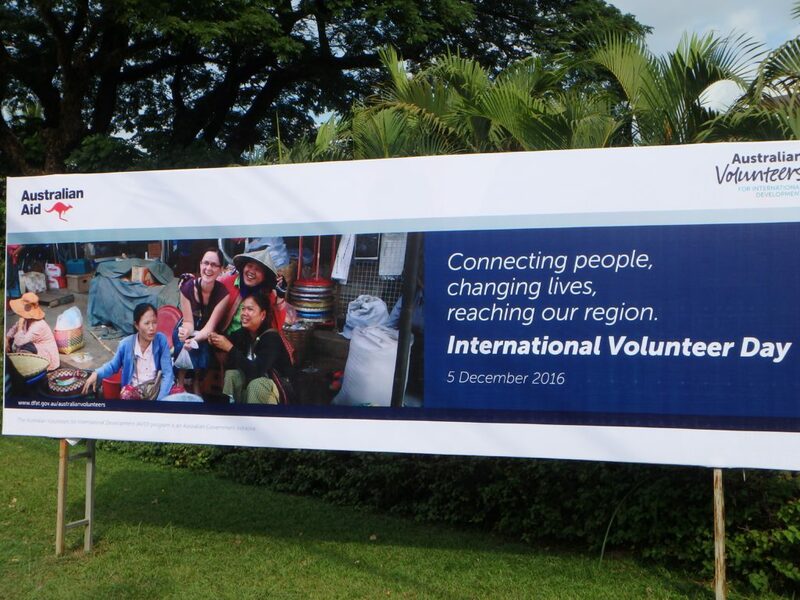 Volunteer assignments are conducted under the auspices of the Australian Government’s ‘Australian Volunteers’ program. This role is supported by the Australian Volunteers Program in-country team while Crawford mentors provide technical and scientific support both through in-country visits and online. The Crawford Fund also provides some financial support for laboratory, fieldwork, and extension activities, as appropriate. If you have an undergraduate degree with majors in entomology and/or crop protection, love a challenge, and want to develop professionally while contributing to rural development in a least developed country, this could be perfect for you!